The buzzing coastal metropolis of Durban beckons and if you haven’t yet booked your stay at any Durban hotels of your choice, now’s the time to do so. Durban is not just another coastal town, it’s a city that enjoys a laid back yet busy city lifestyle and is also the third largest city in the country. Leading up to the 2010 Soccer World Cup, Durban received a major makeover with a revamped waterfront and brand new stadium, both of which are popular places of interest for visitors to the area. Found on the Natal Bay, this city enjoys a subtropical climate all year round. Summer which runs from December to February often experiences temperatures over 30 degrees Celsius, while winters (June to August) are slightly milder yet still warm at around 20 degrees Celsius. It’s not just the weather that makes Durban an inviting holiday and business destination. It’s a city that’s renowned for its outdoor activities, historical places of interest, fun markets and festivals, relaxed and friendly locals and of course, cheap hotel accommodation. 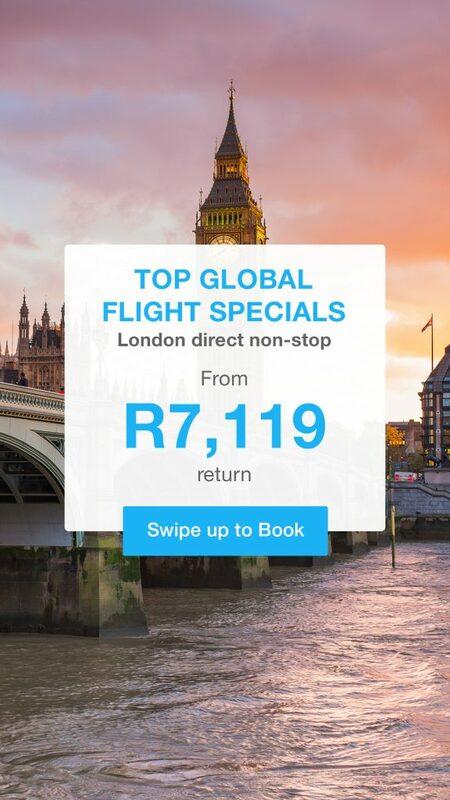 And with the help of Domestic Flights SA, you can get cheap flights to Durban too! Once you’ve booked your hotel accommodation in Durban, it’s time to see what the city is all about. When staying in Durban you will undoubtedly enjoy a warm, relaxed, outdoor lifestyle that welcomes you to enjoy sandy beaches, braai’s, curry restaurants, festive night clubs and so much more. First and foremost, make your way down to the beach! The city is known for its Golden Mile which is a 6km stretch of sandy shores running from the north to the south of Durban’s coastline. The Golden Mile is the perfect place to be for joggers, dog owners, surfers, cyclists and fitness enthusiasts to while away a few hours. The main beach area in Durban city offers some of the best surfing hot spots and for those who don’t like to surf, there are rickshaws, curio / souvenir stands, restaurants, bars, beach clubs, public swimming pools, piers, running tracks, fun fair and even Mini Town which is a miniature replica of Durban city itself. Moses Mabhida Stadium: Segway tours, SkyCar city viewing and stadium swings. uShaka Marine World Water Park: Theme park rides, aquarium and restaurants. Popular restaurants are found on the main beach front, Wilsons Wharf and Florida Road. Sun Coast Casino: Beach access, restaurants, bars, casino, movie theatres and shopping facilities. Best shopping malls: Gateway Theatre of Shopping (Umhlanga), the Pavilion (Westville), Galleria (Amanzimtoti). Valley of a Thousand Hills: About 30 minutes inland, visitors can enjoy a fun meander past craft stalls, farm stalls and restaurants, the Comrades Wall, bars and the most exceptional views of the valley. Popular adventure activities: dolphin viewing, deep sea fishing charters, scuba diving, surfing, snorkelling, jet skiing, quad biking, hiking, canoeing, boat cruises and more. Durban Botanic Gardens: stroll through a selection of indigenous plants and enjoy a picnic on the grounds. This venue also often hosts music concerts. Kloof Gorge: Picnic or braai next to the stream, enjoy short and long hikes and walks to waterfalls and viewpoints. Umgeni River Bird Park: Discover local birds in the bird zoo. Popular golf courses in Durban: Royal Durban Golf Club (Greyville), Durban Golf Club (New Germany), Durban Country Club (Durban Central), Cotswold Downs Estate (Hillcrest), Mount Edgecomb Country Club (Umhlanga) and Kloof Country Club (Kloof). Getting around Durban is fairly easy with Uber and metered taxis being readily available outside most hotels. You can also opt to hire a car for your stay. Car hire companies operating in Durban include Avis, Budget, Hertz, Tempest and Thrifty Car Hire. There are various Durban beachfront hotels to choose from that are close to the shore whether by short walk or drive. Some of our top picks include the likes of Blue Waters Hotel (3 star), Balmoral Hotel (4 star), Parade Hotel 2 star), Southern Sun Elangeni, Maharani Hotel, Belaire Suites Hotel (4 star), Parade Hotel, Pavilion Hotel, Beverly Hills Hotel Umhlanga Beach, Gooderson Beach Hotel (3 star). Not all the best Durban hotels are found on the beach. Some of the hotels situated a little further inland also have a lot to offer coastal visitors. If you’re looking for city hotels in Durban, we can suggest the following: Bayside Hotel, Impala Hotel, Coastlands Hotel (Musgrave), Westville Hotel (Westville), Gibela Backpackers (Florida Road), BP Backpackers (across from Durban Harbour), Tekweni Backpackers (Morningside) and Parkview Hotel, to name a few. Durban sprawls across the coastline and has an expansive inland area too. For those who travel to the city, a trip to explore the popular inland areas of the city / area will not be a wasted endeavour. If you want to explore the city away from the centre of it all, book your hotel accommodation in one of the most popular inland areas which include the following: Westville, Kloof, Hillcrest, Gillitts, Waterfall, Inchanga. Here you will find a selection of boutique hotels, budget hotels, guest houses, bed and breakfasts and more. When booking cheap hotel accommodation in Durban, make sure that you take your comfort and needs into consideration. Remember that the city can be quite hot so opt for establishments that offer air conditioning or fans. Other hotel facilities that will make your stay more comfortable include: tea and coffee making facilities, free Wi-Fi, room service, safe, beach access, laundry services, taxi / chauffeur service. Whether you wish to stay at a boutique hotel in Durban or would like to opt for more budget friendly options, you will find that the city has something available for every traveller and budget. At Domestic-Flights SA we offer our clients the option of securing both cheap flights and cheap hotel accommodation in Durban and the rest of South Africa. Book your accommodation in Durban, KZN today.